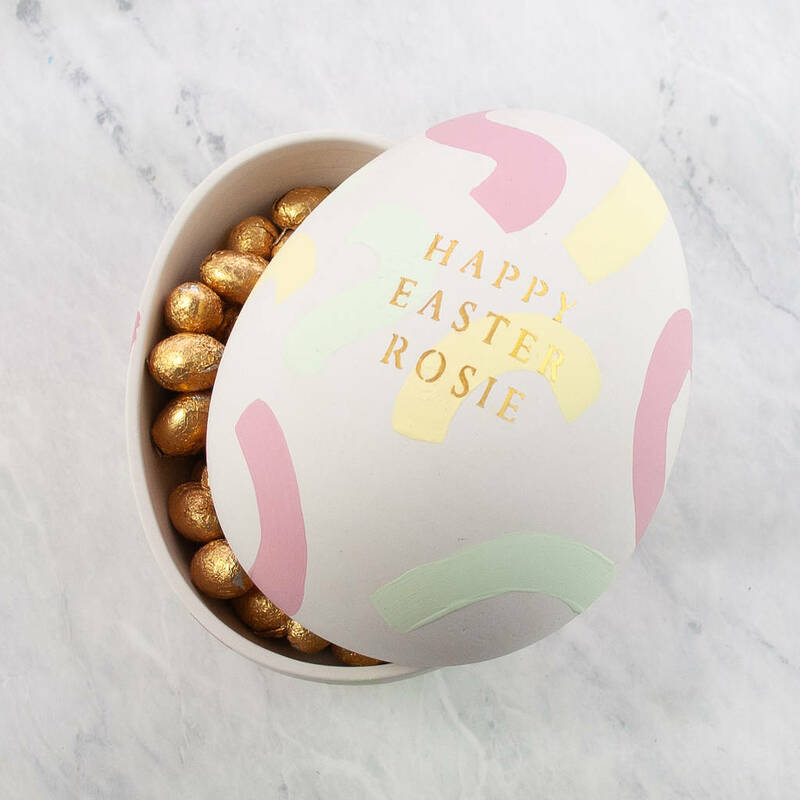 Celebrate Easter in style with our personalised name easter egg! 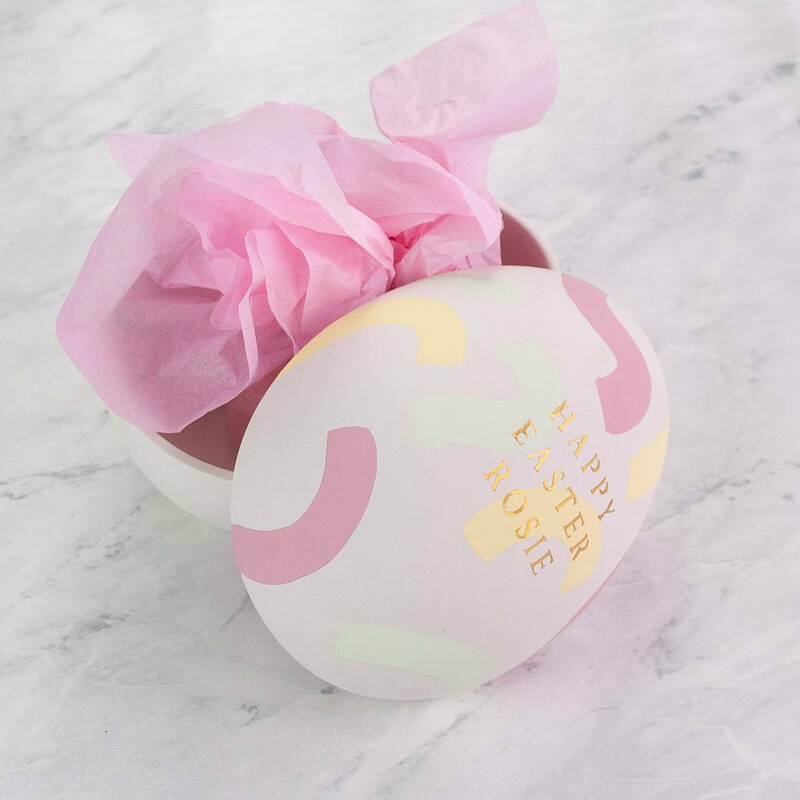 Hand painted with a fresh spring palette and soft pastel colours you can personalise your egg with your chosen name above the message ‘Happy Easter”. 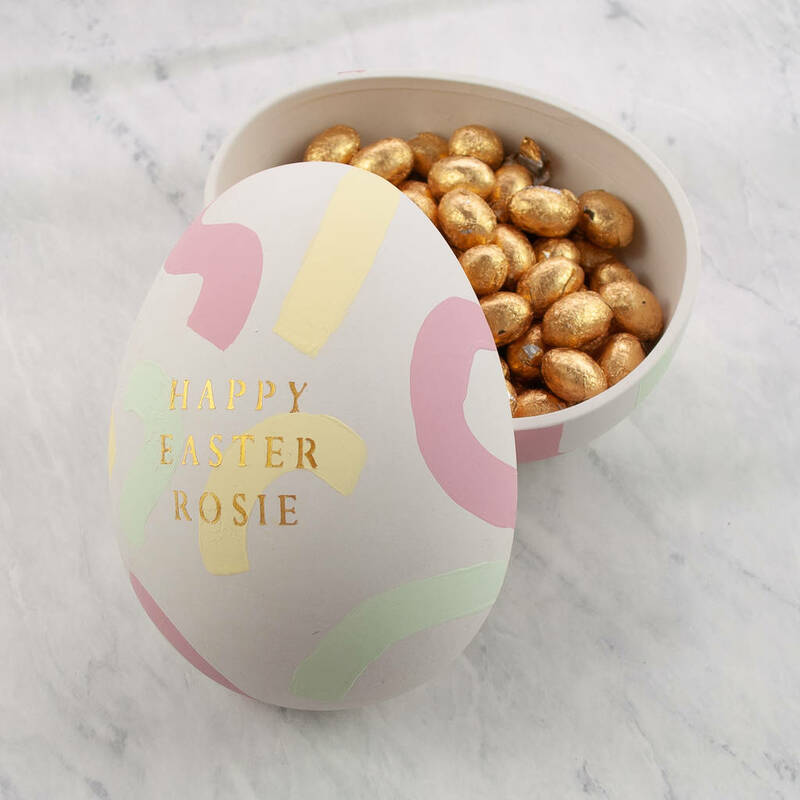 Perfect for all the family this ceramic Easter egg is filled with mini chocolate balls or lemon sherbets. 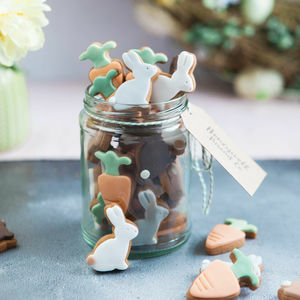 This personalised Easter decoration can be reused each year and filled with an array of goodies. 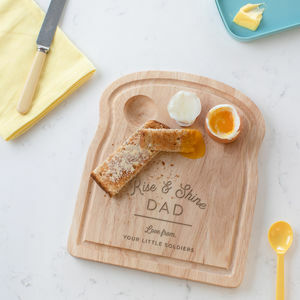 A beautiful Easter gift for your child, niece, nephew or treat for yourself! 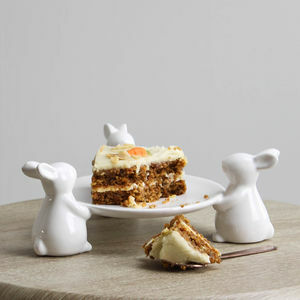 Each ceramic Easter egg is filled with mini chocolate balls or lemon sherbets. You can choose from either pale blue, pale pink, or yellow for your egg. All you need to do is enter the name you would like in the box to the right. 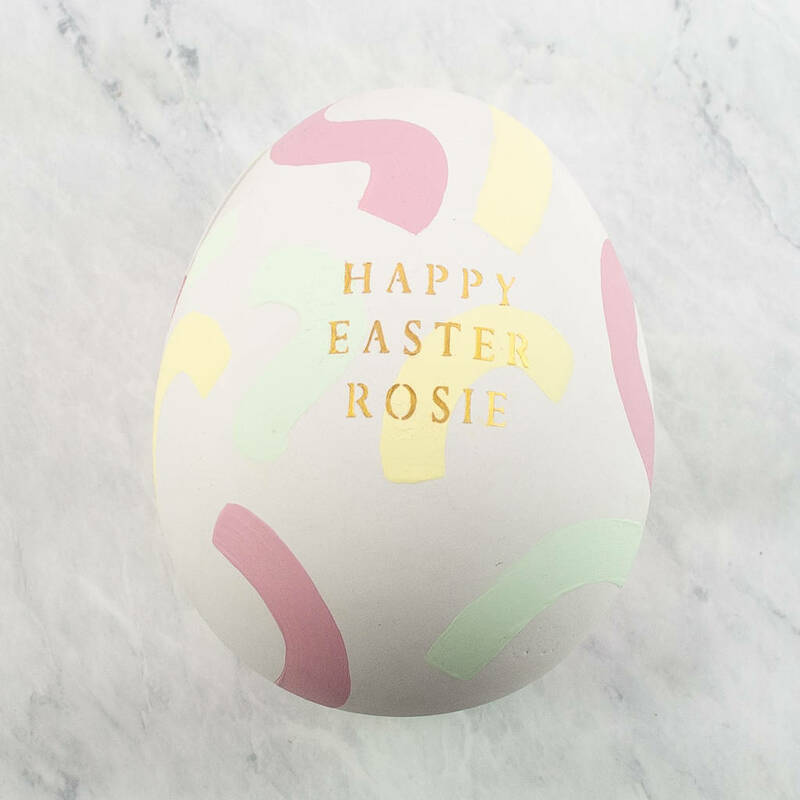 Please note as each egg is hand painted variations may occur. As we print exactly what you send us please double check for any mistakes or typos. 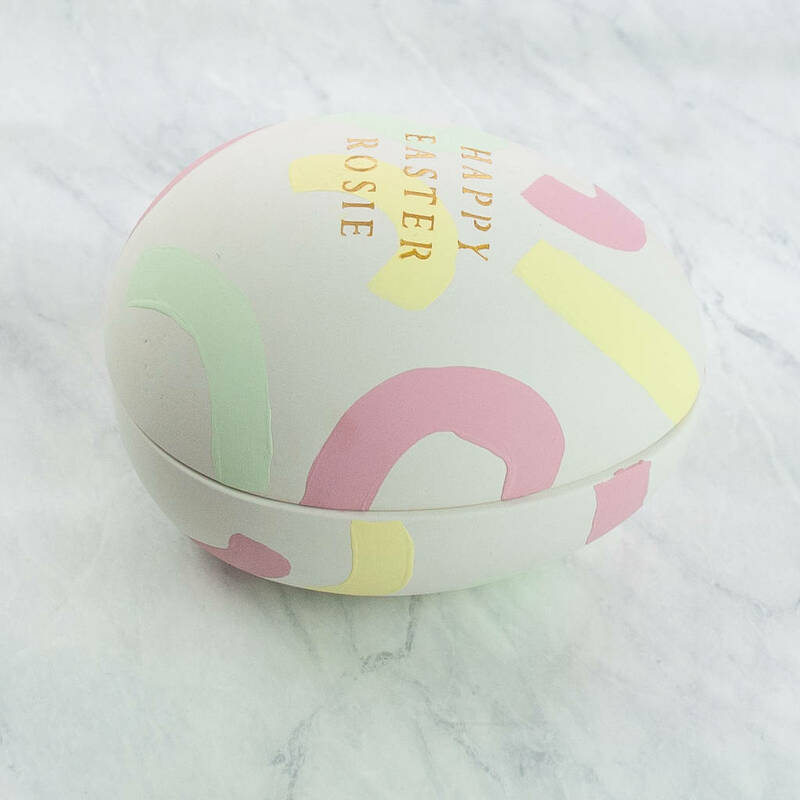 20 Chocolate eggs or Lemon Sherberts will be included with this egg. 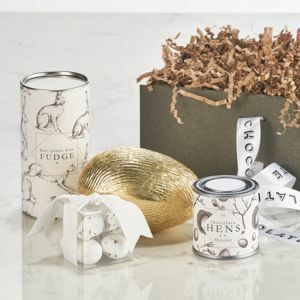 Delicious solid milk chocolate eggs wrapped in Gold foil, Each egg measures approx. 2.5cm. Suitable for Vegetarians. Ingredients: sugar, glucose, dextrose, citric acid, sodium bicarbonate, flavour, colour: E104; calcium stearate. 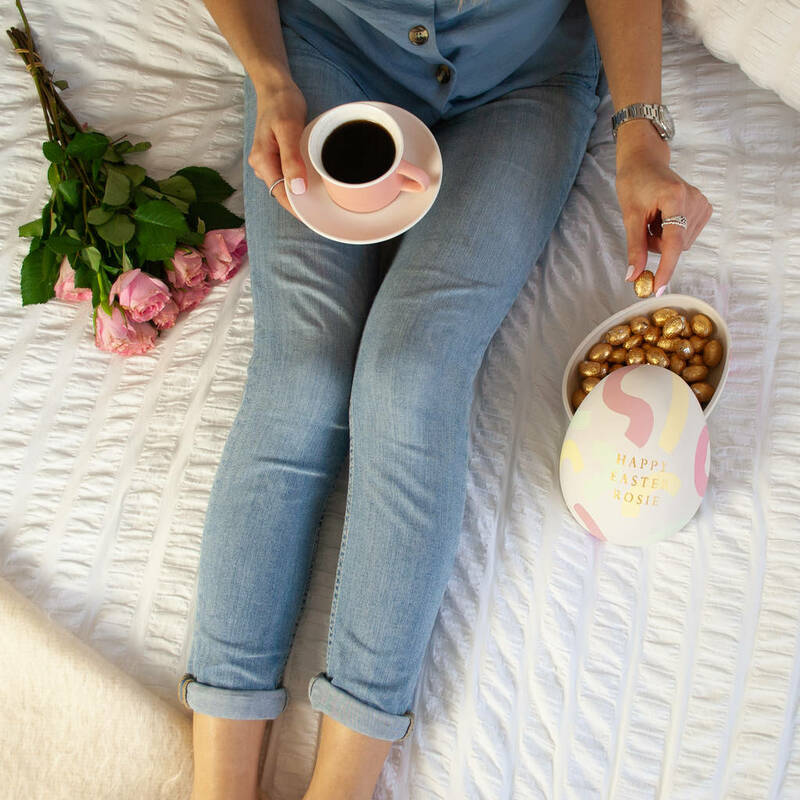 Although both confectioneries do not contain any peanuts or nut ingredients they are however produced in the same factory as other nut products then we cannot guarantee cross contamination. 11.5cm (H) x 11.5cm (W) x 14.5cm (D).